Thanks for this blog post. It gives a easy understandable insight of the benefits and inner workings of AppStream files. And it is written in an encouraging way. If the AppStream ID is used for deduplication, what will happen when Snap begins supporting it? 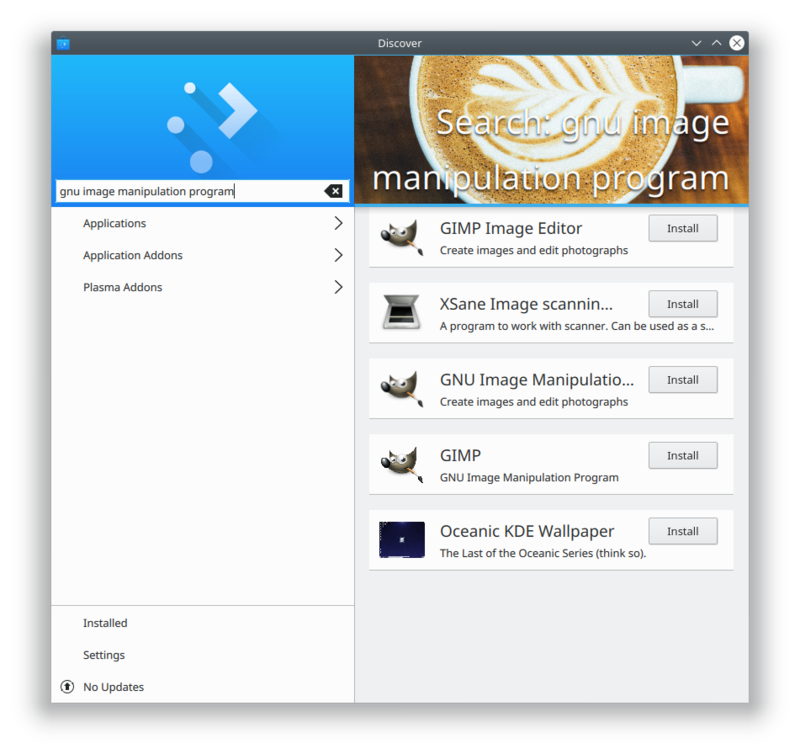 If a app is packaged as both snap and flatpak, which format will the user get when he press install? Or maybe the multiple formats will be shown on the application page, just not when search is used or by navigating the categories? Not that it matter that much, but I’m curious how it works. Like your writing style, you make it very easy to understand how to contribute! Hopefully many will help out. Thanks, I’m glad you find these posts interesting and useful! Discover lets you choose a default source on the Settings page, which determines which version is shown by default when an App is available from multiple sources (distro packaging, Flatpak, Snap…). The user can change the default, or selectively change the source on a per-app basis. Once Snap supports Appstream, everything gets better because Snaps will get listed in the source chooser UI on the app page instead of in the browse and search lists. But I don’t. I’m quite happy using a normal package manager for my software. Then you don’t have to use them! Distro packaging isn’t going away anytime soon. 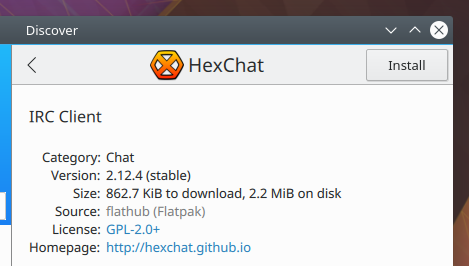 That said, Flatpaks and Snaps can be managed using CLI tools just like distro packages can, if that’s your preference. That’s even better than what I thought. Thanks for the explanation!